Jak Stańczyk z dworzan zażartował is the fourth in the "Legends of Wawel" series, paying tribute to the centuries-old myths of the historic city. 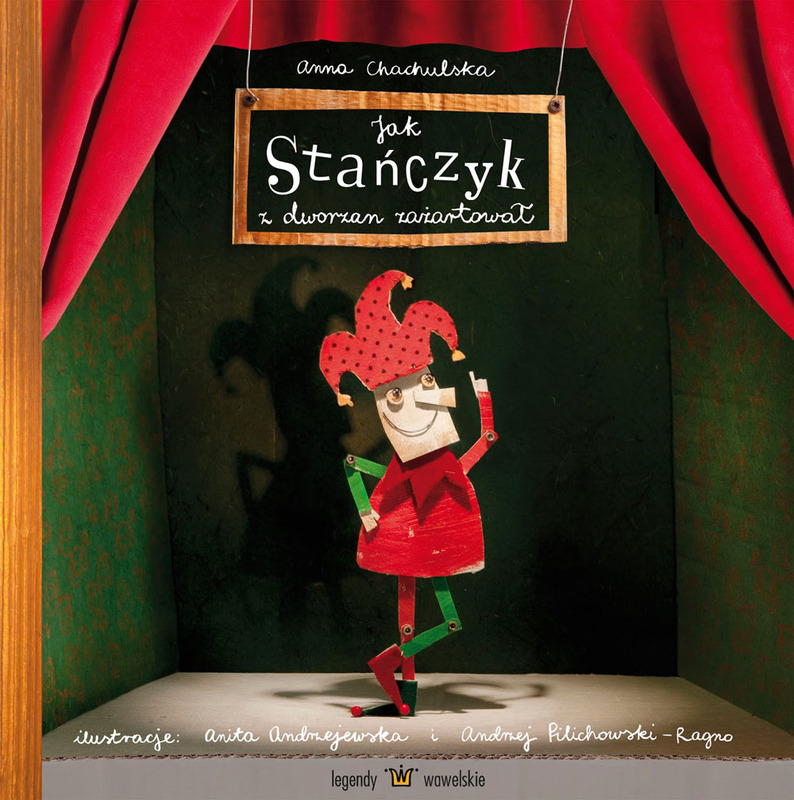 Anita Andrzejewska and Andrzej Pilichowski-Ragno illustrated the story by Anna Chachulska, which tells the story of a jester who was quick enough to fool the king. The quirky tale is set off by an original design of puppet-inspired action. 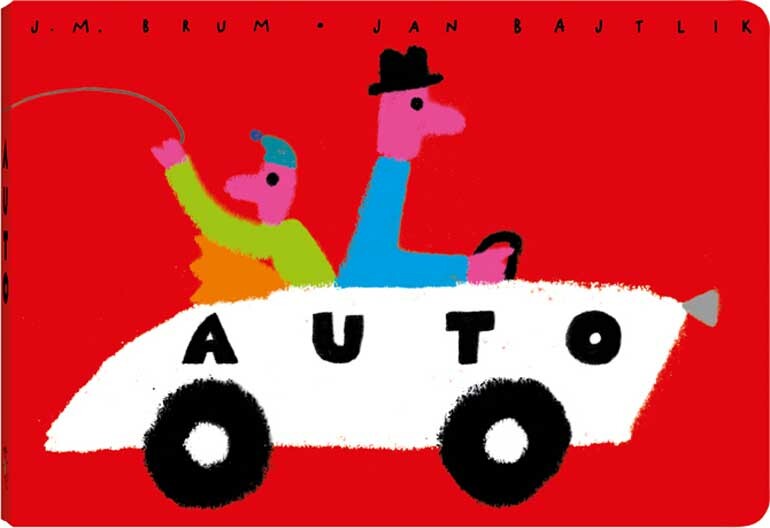 The accomplished poster artist Jan Bajtlik created the illustrations for Auto, published by the daring Dwie Siostry publishing house. The bold graphics and small size of the book makes it ideal for small eyes and hands, its story told through a concise selection of words and meanings. 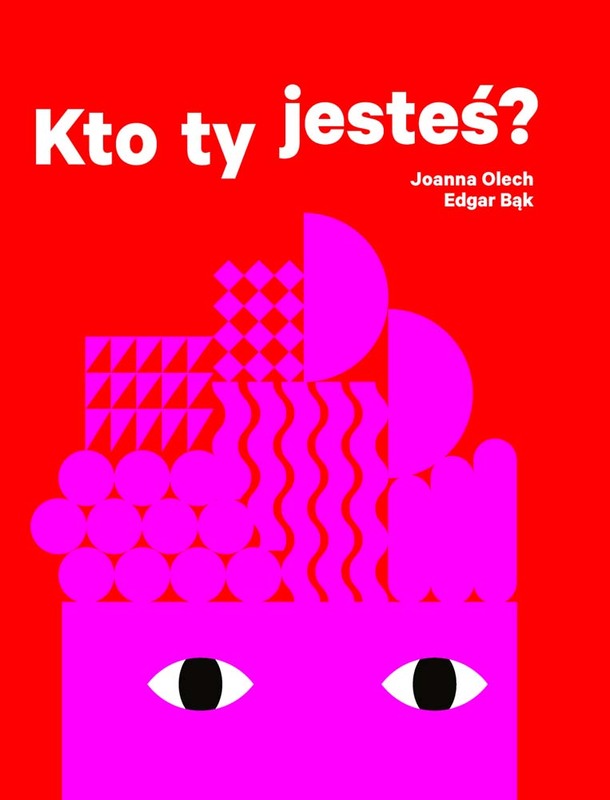 Kto ty jesteś is a design gem illustrated by the award-winning designer and poster artist Edgar Bąk, set to the story by Joanna Olech. The story and images tell a simple, albeit important tale about patriotism and identity for the youngest citizens of the world. Zdarzenie nad strumykiem, written by Jakub Żulczyk and illustrated by Agata Bogacka takes readers into the world of two friends - Józio, an unabashed hunter of chocolate treasures, and a courageous bear named Miś Zbyś who shifts between knightly duties and boxing matches. The book teaches the important lesson that sometimes a real friend is someone who's there when times are thrilling - and when they're a bit boring too. Cztery strony czasu by award-winning author and illustrator Iwona Chmielewska brings one of Poland's oldest cities to life in pictuers. The story begins with the tower of Toruń, with its four clocks each facing a different corner of the world. The clocks sees time flow as the history of the city progresses. 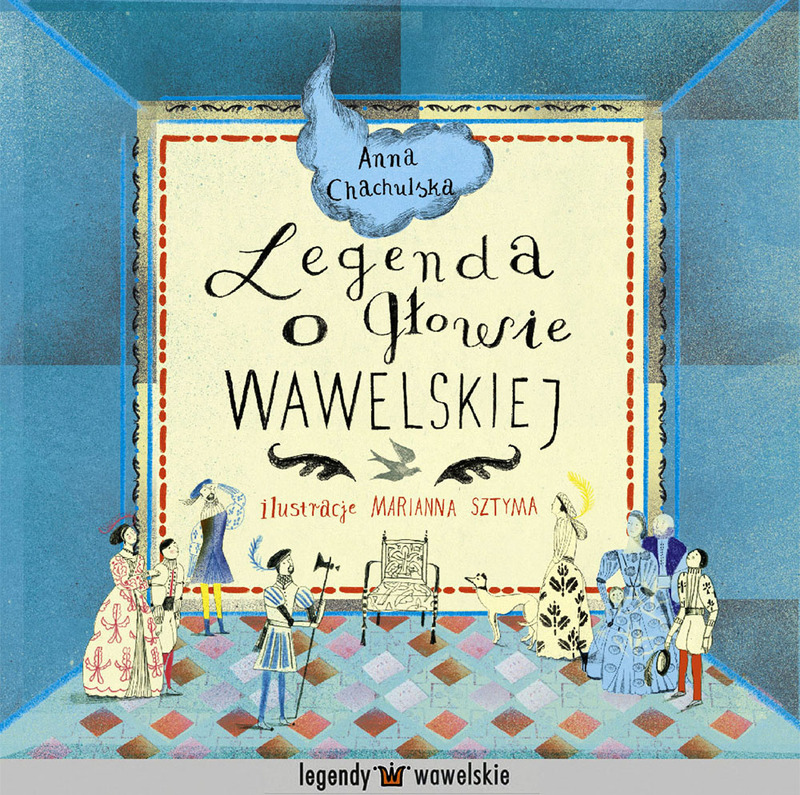 Chmielewska's books are known across the world - in Italy, Germany, Portugal, China, Japan... She's published 20 books, scored a fan club in South Korea and the Oscar of the children's book world - the Bologna Ragazzi Award. Could this be another smash success for the author? Książe w cukierni is the second children's book by Marek Bieńczyk, winner of the Nike award for his books for adults. It appears at first to be a light-hearted story about happiness, but underneath it all there is an unexpected aura of magic and philosophical rumination. 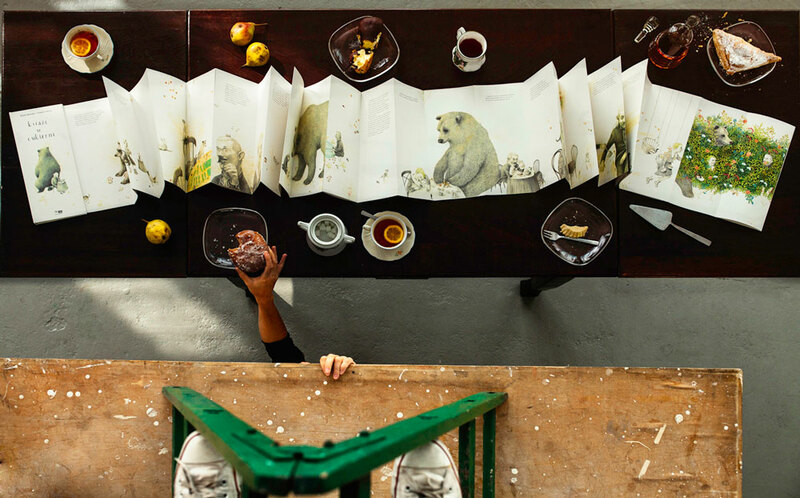 The best surprise of all is the shape of the book, created as a 6-metre accordian adorned with captivating illustrations, designed by Joanna Concejo. 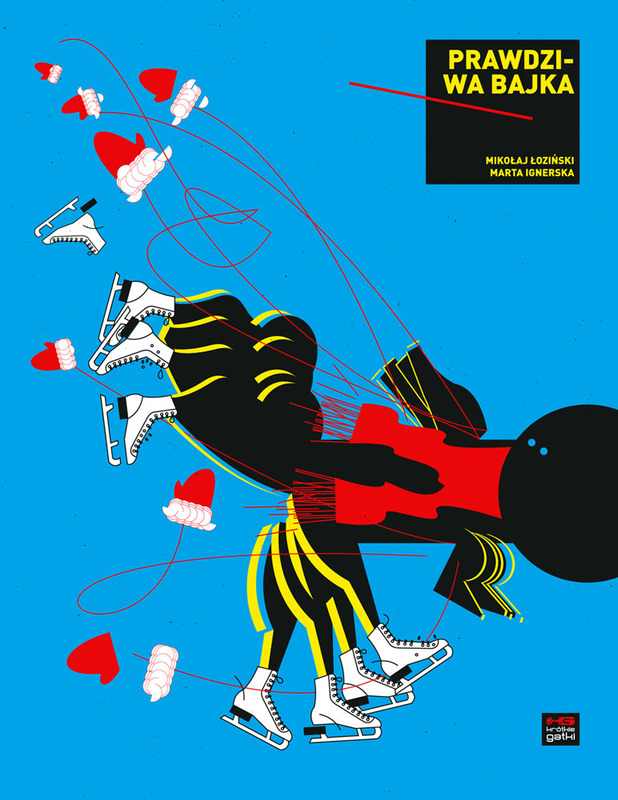 Mikołaj Łoziński's Prawdziwa Bajka was illustrated by Marta Ignerska. This "true-to-life" fairy tale trails two young travelers on a trip across Europe by Volvo. They enjoy the summer, going from one beautiful spot to the next, wonderfully illustrated with a bold stroke and bright colours. This book is guaranteed to perk up even the most jaded reader - of any age! Dokąd iść? 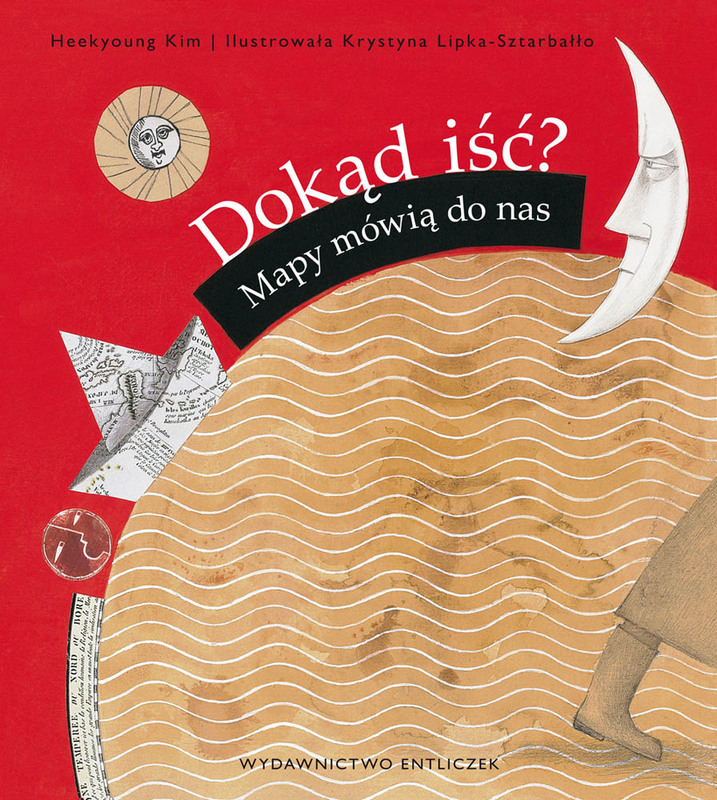 Mapy mówią do nas was illustrated by the Polish Krystyna Lipko-Sztarbałło and published in South Korea, based on a story by Heekyoung Kim. Its formula for making geography simple and fun proved a hit. The poetic text and subtle illustrations are an equally easy fit for the other side of the world as the Polish edition takes its readers on a fascinating trip around the world. Not only has it already won prizes in Korea, but it was also included on the list of 100 of the world's most beautiful books in the 4th edition of the CJ Picture Book Awards 2011 competition. Illustrated by Urszula Palusińska, Majn Alef Bejs has already won a distinction at the ILUSTRARTE International Children's Book Illustration Biennale in Portugal this year. The story by Jehoszue Kaminski revives the Yiddish tradition with word play set to an eye-catching array of bold images. 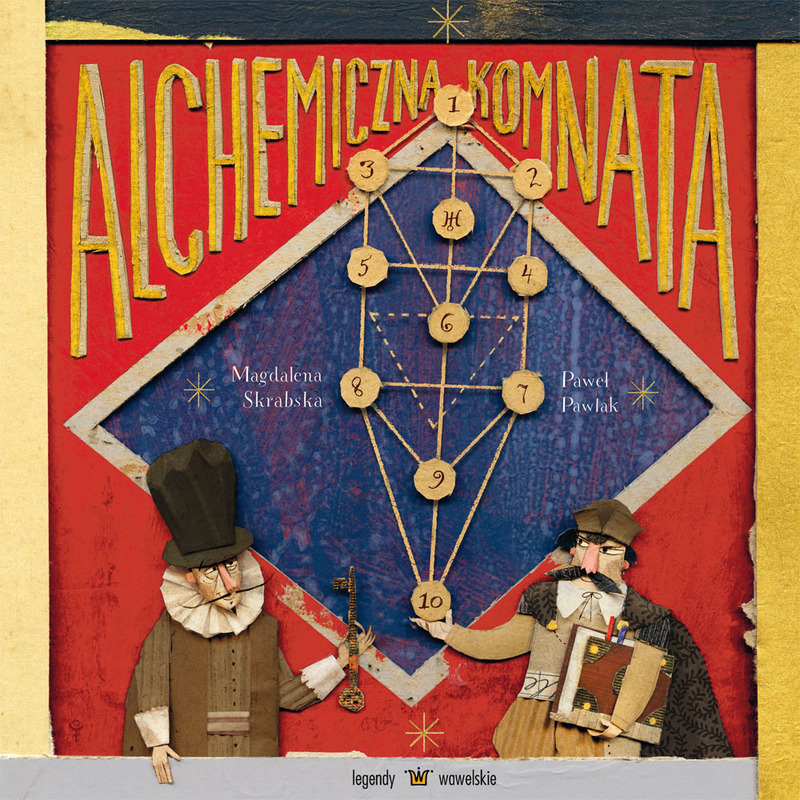 Alchemiczna komnata by Magdalena Skrabska and illustrated by Paweł Pawlak is another title in the "Legends of Wawel" series, inspired by the adventures of King Sigismund III and the alchemist Sędziwój. Full of mysterious potions and experiments, it revives the magical grandeur of the Kraków castle, which continues to awe tourists from all over the world today. Marianna Sztyma scores another nomination for her illustrations for the mysterious tale by Anna Chachulska. Legenda o głowie wawelskiej is set in the time of King Sigismund August, uncovering the mysterious tale of how one of the heads of Wawel, a historic relief of this centuries-old building, came to have its mouth sealed shut. The wonderful illustrations invoke the glorious history of this royal city and its court. 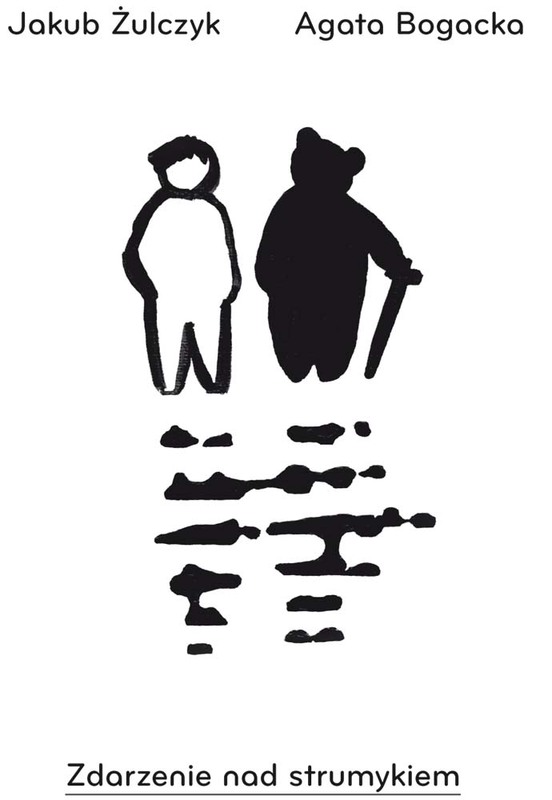 Konrad Świtała's Zwierzątka young adventurers on their way to discovering what makes a giraffe so different from a rhinoceros and whether an elephant's footprint is really like the cross-section of a tree. These woodcuts relay the simple majestic beauty of the natural world, animals and their prints, in black and white - appealing to even the littlest readers. 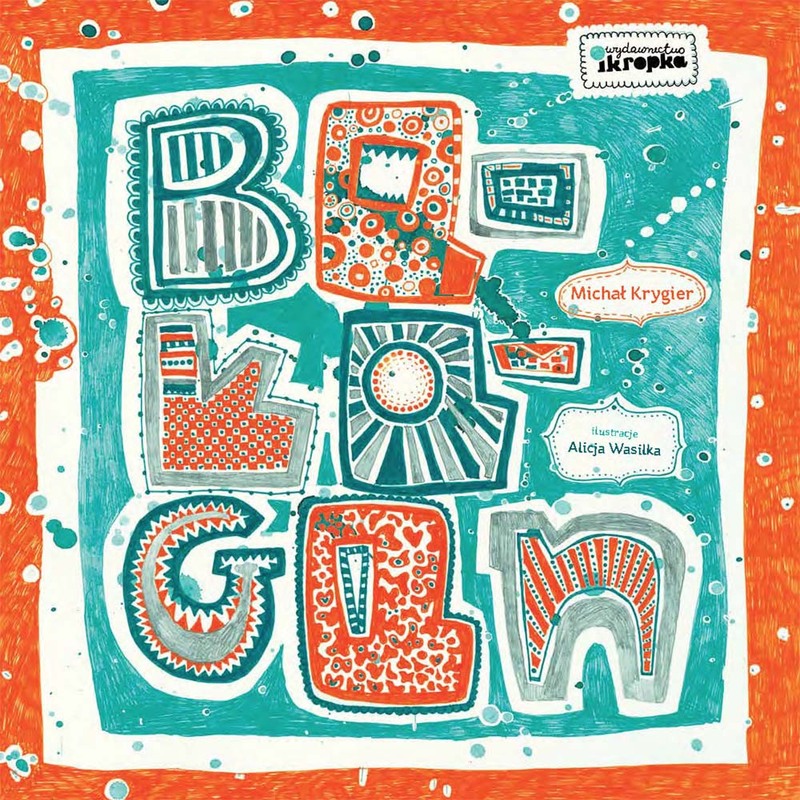 Alicja Wasilka created the illustrations for Michał Krygier's zany Bałagan - the first release from fresh publishing house iKropka. It tells an unusual story of a family friend who sees the everyday in a whole new light. He takes readers through the intricate nooks and crannies of a mess to tell the personal stories of the loved ones who made that mess - and make up a few amusing details along the way.